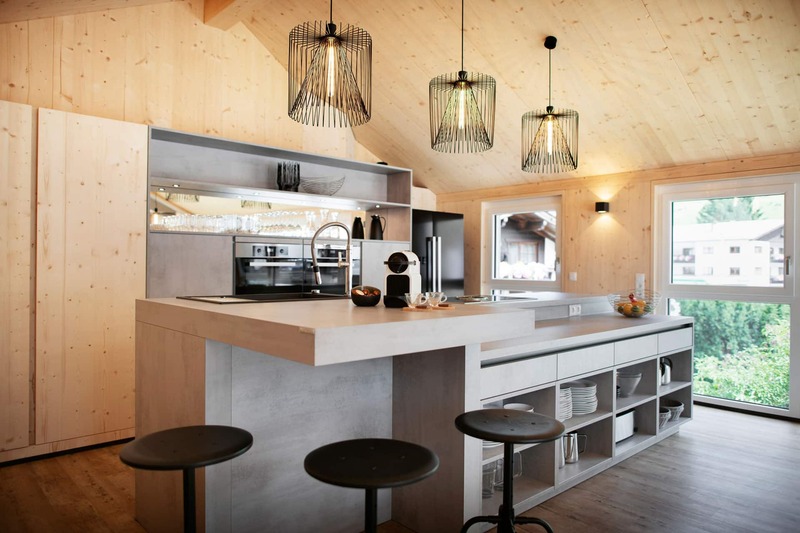 The newly built holiday home in the middle of the village of Neustift in the Stubai Valley offers 260m² of space for families or groups of up to 18 people! A few minutes from the Stubai Glacier, it is located in the village centre, yet in a quiet location. 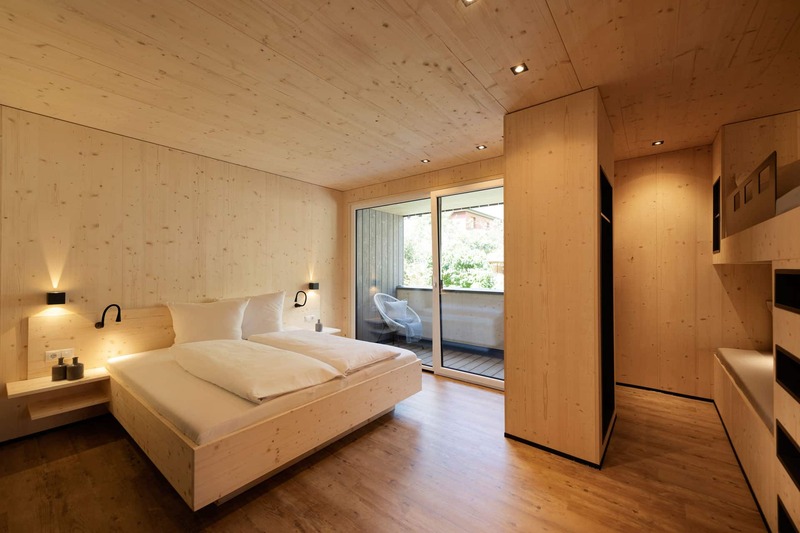 The house exterior captivates you with its warm wooden façade made of larch wood. 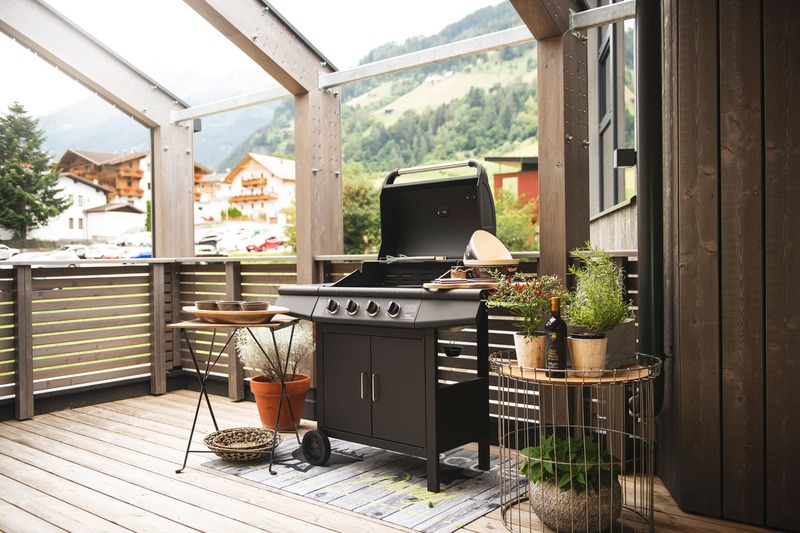 With its deliberately chosen division into private and shared areas, the open atmosphere and the special interaction with nature, make your stay in Neustift a very special experience for the whole family. Spend your holiday in a well-equipped and lovingly furnished holiday home in the Stubai Valley. The modern and spacious Haus Dorf has 5 separate bedrooms, each with shower/WC. In 4 of the 5 bedrooms there are bunk beds in addition to the double beds. Relax in the living room with a cosy fireplace or retire for quiet moments to the relaxation room with its own kitchenette and satellite TV. A separate area with climbing wall, wall bars, disco ball and satellite TV with PlayStation is waiting for the children. The spacious kitchen with cosy dining area offers plenty of space for cooking and eating together. Well equipped with plenty of dishes, microwave, filter coffee and Nespresso machine, kettle, side by side fridge and freezer and a dishwasher. After a day of sport, you can enjoy nature on the terrace in your own garden. There is a grill available throughout the year. You can conveniently park your car in the parking garage with direct access to the rooms. A large ski room including ski boot dryer is located in the basement. In summer you can also keep your bicycles securely here. The prices are valid for an occupancy of 10 person. // INCLUSIVE: towels, bed linen, tea towels and WiFi. // EXCLUSIVE: visitor’s tax € 2.80 per person per night. Children up to 15 years are exempt from the visitor’s tax. //In case of cancellation the deposit will not be refunded. // One-off: final cleaning € 330 – 350 // Christmas, Carnival and Easter: prices on request.